Does Costco Hire Felons? Answers Here! If you are wondering if Costo hires felons or not that most likely means you have been to prison, served your time and repaid your debt to society. Now everything is good and you can simply move on from whatever you did… right? As you already know that’s not the way it works in the real world because that felony will follow you around forever unless you are lucky enough to have it expunged. Finding companies that hire felons or even renting an apartment can be a huge pain to say the least. That is why our organization, Help For Felons exist. We are here to provide all the information that makes life easier for you and to answer questions like does costco hire felons? There are never any clear black and white answers as to whether a particular employer such as Costco will hire a felon or not because of the many variables involved. What we will do is provide you with all of the necessary information to make a calculated decision if putting in an application at Costco and going thru the hiring/interview process is worth your time and energy. Costco Retail Warehouses – These are hourly positions and include stockers, cashiers and CSR (Customer Service Representative) positions. There are currently 480 Costco warehouse locations in the United States. Distribution Depots – These are also hourly positions but often pay a lot more and are labor intensive. This is where goods are unloaded, separated, sorted, packed and reloaded for delivery to the retail stores. 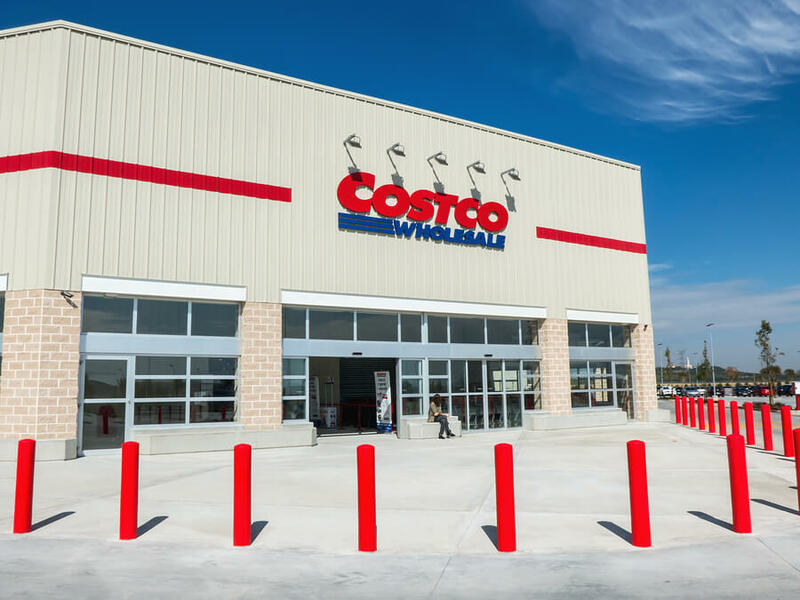 There are currently 16 Costco depots in North America. Regional and Home Office Jobs – These are white collar office jobs that very drastically in pay. 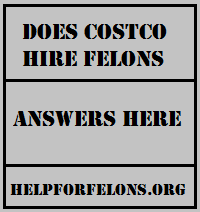 When we were doing our research about whether or not Costco will hire felons we talked with a company representative and they told us that they do not outright ban all felons from employment but take each applicant’s criminal background into consideration on a case by case basis. This is great news as many other employers will often ban felons right from the very start. Costco obviously puts more thought into who they hire than most other companies out there. After conducting our research to answer the question “does Costco hire felons” our findings tell us yes they do BUT depended on the exact nature and time passed since the felony was committed. If you have three homicide felonies I think it is safe to say that you will not be hired. If your conviction is for something nonviolent you will have at least a good chance. If you are interested in applying to Costco please keep reading for helpful tips for getting the the job. If you feel that it is not worth your time to apply check out our jobs for felons page to find something different. When applying for a position at any Costco location it is very important that you be honest and open about your criminal background and/or felony convictions. Costco will without a doubt, 100 percent of the time run a background check on anyone they hire. If you get caught lying, and you will you will, you may be blacklisted from employment from Costco for any future applications you may submit. Some states, counties and cities have passed “ban the box laws” where it is illegal to ask someone if they are a felon on a job application. This may sound good but in the end you still have to explain your past. If you do have to declare your felony background on an application it is important to do more than simply checking the box and hope for the best. You need to write an explanation of what happened, why it happened and why it won’t happen again. Take responsibility for your past and show that you want better for yourself. This will help put the hiring manager at ease and will also show that you are putting extra effort into getting a job at costco. You will also want to proof read the letter well and make sure that it is free of any grammatical errors. Positions – This is a list of all the types of positions that Costco offers. Online Costco Application – Here you can fill out an application for any Costco location. If a Costco is under construction in your area you will be able to apply within about 12 weeks before construction is slated to be finished. E-Verify – Costco participates in E-verify and you must be legally allowed to work within the United States.